We thank God for His blessings on our annual Congo Bible Camp. About 1/3 of the 120 attendees were first-timers from Burundi, so we’re thankful to be able to make inroads into the deaf churches in that country. One of the attendees was a Muslim young lady named Ramla. Since our camps are targeted at pastors, evangelists and church leaders, it’s rare for us to have Muslim attendees. 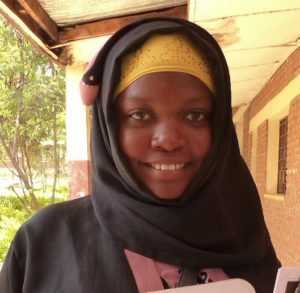 By the end of the week, Ramla had decided to follow Christ instead of Mohammed. We have no idea what her conversion will cost her, but please pray for Ramla as she begins discipleship under the Burundi church in her town. Director Yves and his staff have lost no time in putting their new well to use. They set up an irrigation grid and planted some crops and trees on the property. If all goes well, the crops will grow quickly during this rainy season and be able to weather the coming dry season.